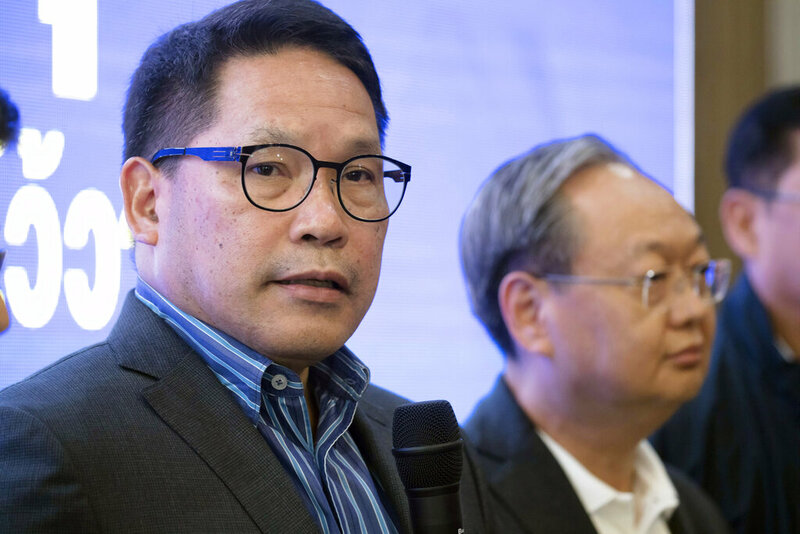 Bangkok (AP) — Uttama Savanayana, the head of the Palang Pracharat party that is backed by Prime Minister Prayuth Chan-ocha and based on unofficial results won the most votes in Sunday’s election, said it would contact like-minded parties to form a new administration. But earlier Monday, Sudarat Keyuraphan, leader of the Pheu Thai party that was ousted in the 2014 coup, said it would try to form a government because it won the most constituency races. The party is allied with exiled leader Thaksin Shinawatra. Thanathorn Juangroongruangkit, leader of the Future Forward party, which polled in a strong third place after scooping up first-time voters, said the party won’t nominate him as a prime ministerial candidate to avoid a political deadlock.